If you are looking for a job in the Kyle of Lochalsh area you have come to the right place. Our mission at HIJOBS is to show you a range of career opportunities across the wide range of industries, services, trades and profession in the job market today. Below you will find the current vacancies around Kyle of Lochalsh; use the filters to focus your search on the type of role you are looking for. After you are done, use our guides to make your application process less daunting. Take a look at the HIJOBS application advice pages for some tips on how to get started. We hope you find the perfect job for you in and around Kyle of Lochalsh. Read more about living and working in Kyle of Lochalsh. As you travel along the A87 on the way to Kyle of Lochalsh you are going to meet a movie star. You’ll know it when you see it – Eilean Donan Castle has appeared in so many films; James Bond and Highlander to name two major franchises. There has been a castle here at Dornie for more than 800 years and the Clan Macrae has been its keeper for the last 500. The castle was rebuilt in the early 20th century to look like, well, what a Scottish Castle in the midst of stunning scenery should look like and its face has been its fortune ever since. Kyle of Lochalsh is the hub for villages throughout the area. It was from here that the ferry to Skye sailed until that centuries-old link was replaced with a bridge. It is a harbour and has pontoons for sea-going holiday makers. It is also the end of the Kyle of Lochalsh Railway Line which runs to Inverness, which is the destination of choice as the heart of the region’s social and cultural life with plenty of shopping, theatre, cinema and an incredible live music scene. Inverness Airport has routes to all the major British destinations and some European ones and a rail link including the Caledonian Sleeper Service. 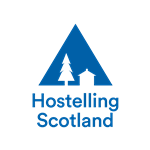 Tourism, hospitality, crofting, aquaculture and service industries are the main employers, along with Highland Council and NHS Highland. There is a primary school in the village and the pupils go on to Plockton High School, six miles away, which also contains the National Centre of Excellence in Traditional Music, Sgoil Chiùil na Gàidhealtachd, which any secondary student in Scotland may apply to attend.